If you thought cast glass was always glass at its most robust, this new exhibition is about to shatter those illusions – revealing subtle glass art that glows with luminescence. Here, you’ll find glass works – brooding, dark, radiant and delicate – that demonstrate the stunning versatility of casting. Perhaps nothing more vividly displays the sculpting hand of the artist than casting, where wax models are carved or plaster and sand moulds laboriously prepared and set. Only then can the process of melting the glass take place, filling and expanding the moulds to create intricate detail and texture. 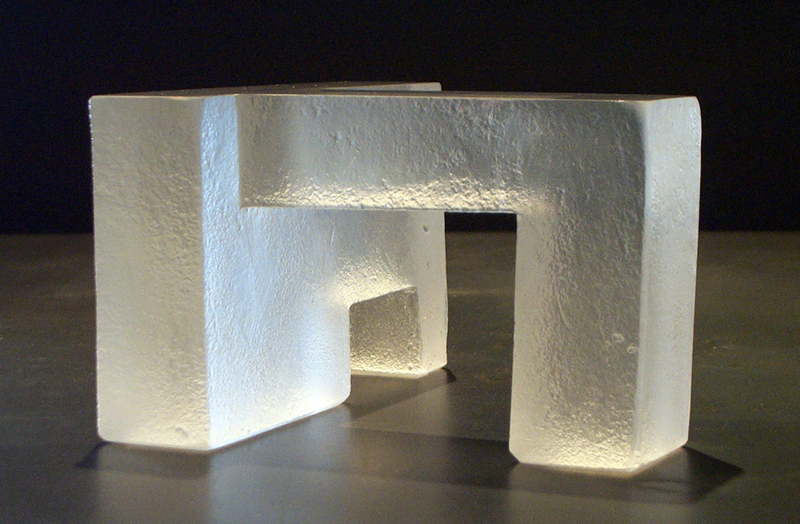 The 38 works, selected from a huge number of entries, reflect techniques including kilncasting, sandcasting and pâte de verre. Artists from the UK, Holland, Australia, Russia, Romania, the USA, Bulgaria, Switzerland, Spain, Sweden, France and Canada submitted work for the show. The exhibition leads into the Contemporary Glass Society’s Glass Skills 2013 – a year of exhibitions to celebrate the glassmaker’s art. This show was launched on the 1st Feb 2013. Thank you very much to all those artists that entered work.